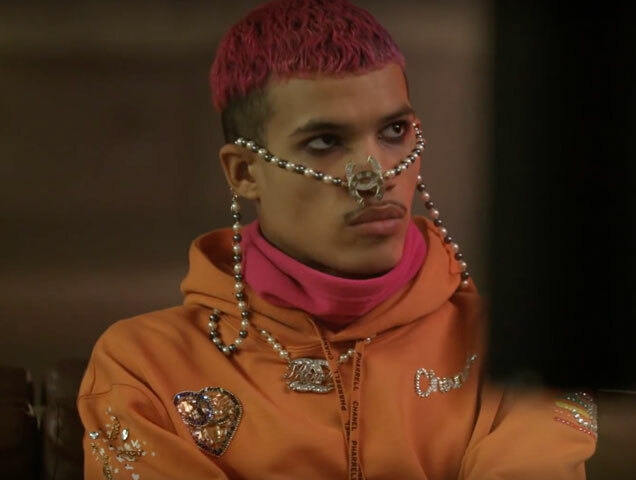 In a departure from Chanel’s classic and posh tailoring, Chanel Pharrell has more of a streetwear and athleisure vibe, inspired by biker gangs and the anime film Akira. The collection also exudes Pharrell’s love of gender-neutral dressing, which he uses to express his individuality. Gender-fluid pieces include brightly colored blazers, robes, sweaters, tees and trackpants. Unfortunately, you’ll have to wait just a little while longer to get your hands on the collection; Chanel Pharrell will first drop in Seoul on March 29 and then globally by April 4.